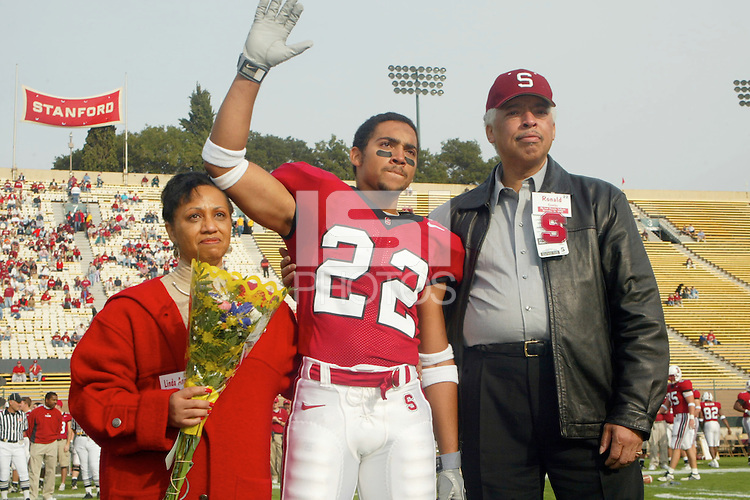 Evan Combs on Senior Day before Stanford's 31-21 loss to Oregon State on November 16, 2002. USAGE: Stanford Athletics internal/promotional usage only. Other third party usage subject to rights fee: Contact david@gonzalesphoto.com for more information.